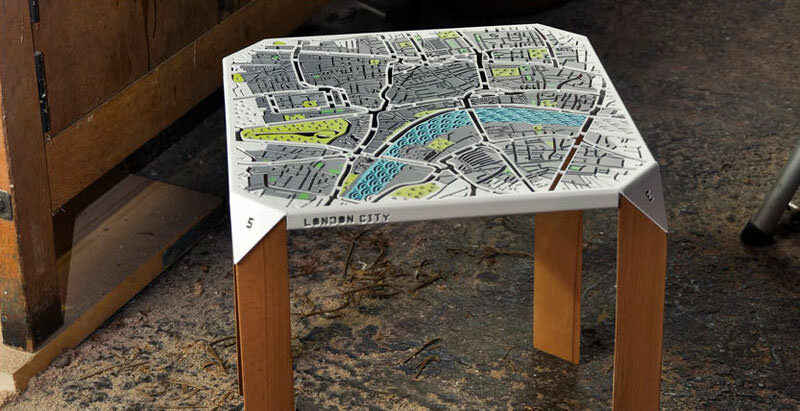 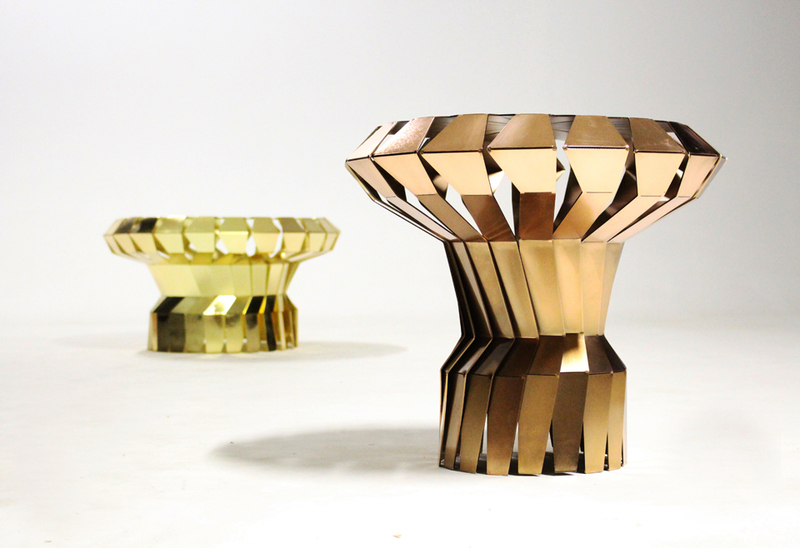 Instantly recognisable, Hasan Agar has created these side tables which feature the iconic street map of London. 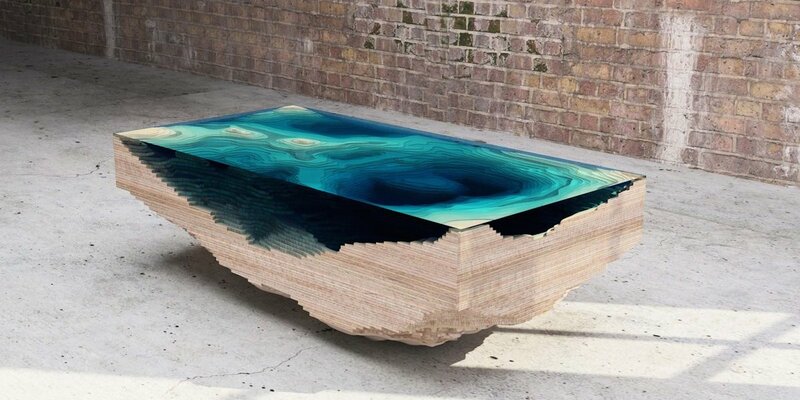 The water of the Thames’ is interestingly depicted by a scaly pattern composed of concentric circles. 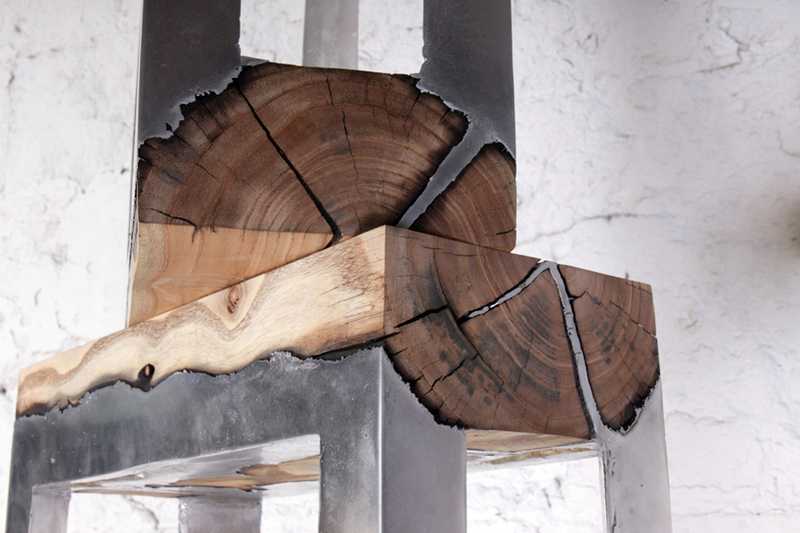 Another creative piece of design that went into this side table is its legs, which unusually have a triangular cross section. 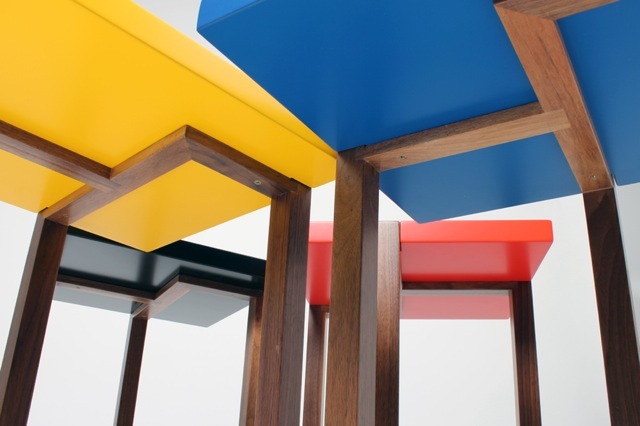 N, S, E and W are incorporated into the joints between the table surface and these triangular legs to denote orientation. 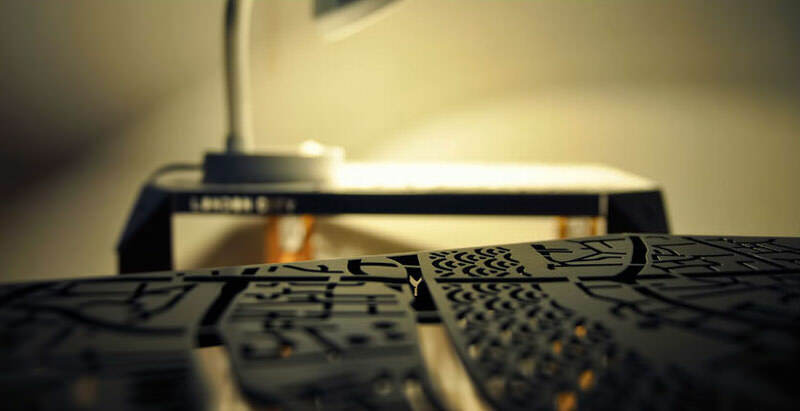 The London streets are laser cut into the metal sheet and then given a matte powder coated finish. 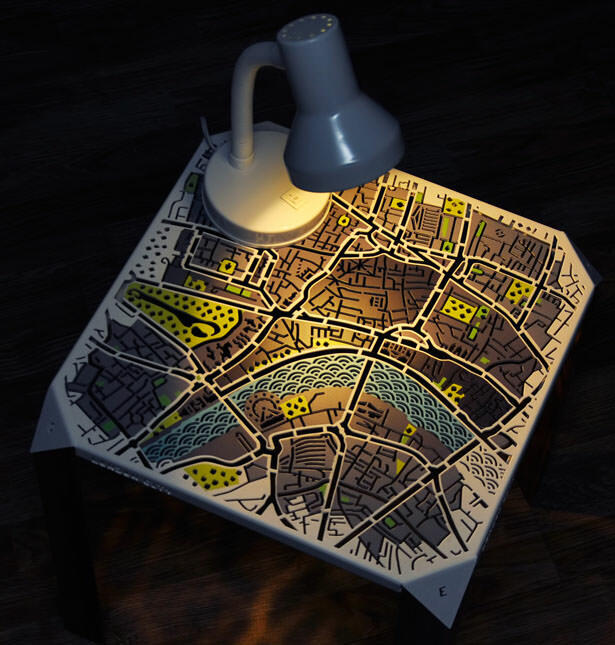 Hasan Agar has envisioned several different colour options for his London Map Side Table, but most notably a scheme in which London’s parks take on a green hue, while the river is blue and the blocks of buildings in grey.